Manly Beach is an incredible place. Located on Sydney’s Northern Beaches it is just a ferry ride or a short drive from Sydney CBD. The beach is famous for its beauty. Many tourists are stunned at how gorgeous Manly Beach is. What separates Manly from other beautiful beaches is the community surrounding it. A laid back attitude prevails her. 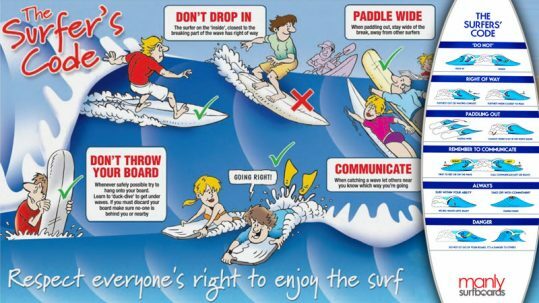 If you go to Manly Beach it is almost a necessity that you jump in the water and go for a surf. The surf is incredible and is regarded as one of the best surf beaches in the world. Many people report that is the most fun they have ever had surfing is at Manly Beach. In order to surf Manly Beach you’re going to need equipment. That’s where we come in. We provide high quality surfboards that are durable and look great. Manly surf hire surfboards are available for rental or purchase at very reasonable prices. Simply rent a surfboard for as long as you are visiting Manly Beach or come in and purchase a board for yourself. We also provide other equipment for rent such as stand up paddle boards, body boards and wetsuits. We have everything you need for you to start your surfing experience at Manly. Many people rent our surfboards and other items at our shop because we provide among the best value equipment on Manly Beach. Based on our great prices and fantastic professional service it is not surprising that our customers come back to us again and again and often refer their friends to us. We take pride in being the best value surfboard and surf equipment rental store on Manly Beach. Come on down and we will personally welcome you to Manly and introduce you to our great products and fantastic prices. We are confident that we provide the best value equipment on Manly Beach. Manly Beach is one of Australia’s most famous surfing beaches – the first world surfing championship was held here in 1964. At the northern end of the beach is Queenscliff, where the rocky point and outer bomby, create the type of waves valued by advanced surfers. The middle section is North Steyne where shifting sand banks create a variety of waves for all levels of surfers. 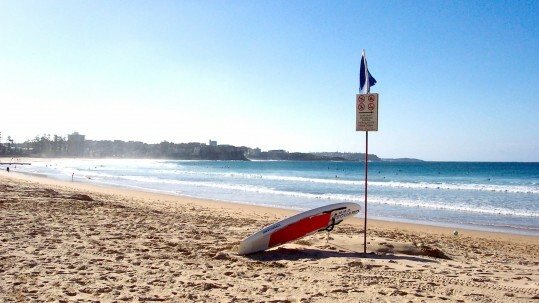 At the south end (where our shop is located) is the iconic Manly Beach. This section of beach is a favourite with beginner to intermediate surfers. Protected by the headland, Manly Beach often provides ‘user friendly’ conditions for both surfing and swimming and is easily accessible by bus and ferry. Paddle surfing, Stand Up Paddle surfing, Standup, SUP surfing is a great way to explore Manly’s coastline. The beach stretch of Queenscliff, North Steyne and Manly offer some world class waves for those looking for SUP surfing. For those looking for a more relaxed experience, grab one of our stable and easy to paddle boards to explore Shelly Beach, Manly’s North Harbour, Cabbage Tree Bay, Little Manly Beach & Collins Beach. Explore the underwater treasures of Shelly Beach and the Bower with over 200 species of marine life. Just around the corner from Manly you’ll find pretty Shelley Beach and Cabbage Tree Bay; a protected marine reserve with over 200 species of marine life, a great spot to take the plunge. Shelly is known for good visibility and great marine life; there’s also an old submerged motorbike wreck to check out in the middle of the bay, and if you’re lucky you might even spot one of Manly’s famous Blue Gropers. To find out more about why snorkelling at Manly is the best snorkelling in Sydney, click here.